There will be no L train service between Lorimer Street in Brooklyn and 8th Avenue in Manhattan 10:30 p.m. – 5 a.m., from April 15th to April 26th, according to the MTA. What’s the work? As part of the revised L project, we’re still moving forward with the long-term reliability improvement work we had originally planned. This includes installing signal equipment. For you this means that we’ll have the right signals ready to run the one-track operation in April. We’ll also take this time to prepare the tunnel for the rehabilitation work, delivering materials, pulling fiber optic cable and installing tunnel lights so we can work efficiently during the one track operation. What should customers do? 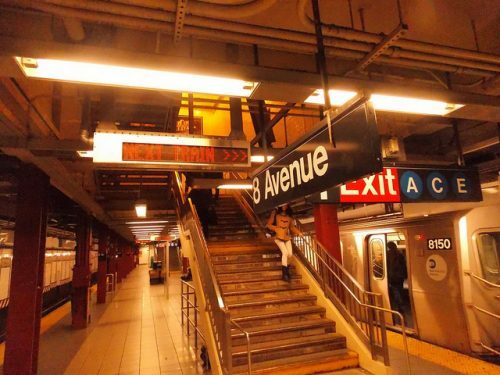 If you’re traveling between Brooklyn and Manhattan, you can take the A , F, or J. For Manhattan L stations, you can take the M14 bus. In Brooklyn, the L will still operate between Lorimer St and Canarsie-Rockaway Pkway. Free shuttle buses will loop between Lorimer St G/L, Bedford Av, Marcy Av J, and Hewes St J. Between Bedford/Nostrand Avs and Hoyt/Schermerhorn, every 20 minutes. The next MTA L train open house is Monday, Apr 8th, from 6:00 p.m. – 8:00 p.m. at the 14th Street Y, (344 E 14th St.). ← Sign Up for FREE Rooftop Yoga at Our Flower Power Spring Market (4/7)!